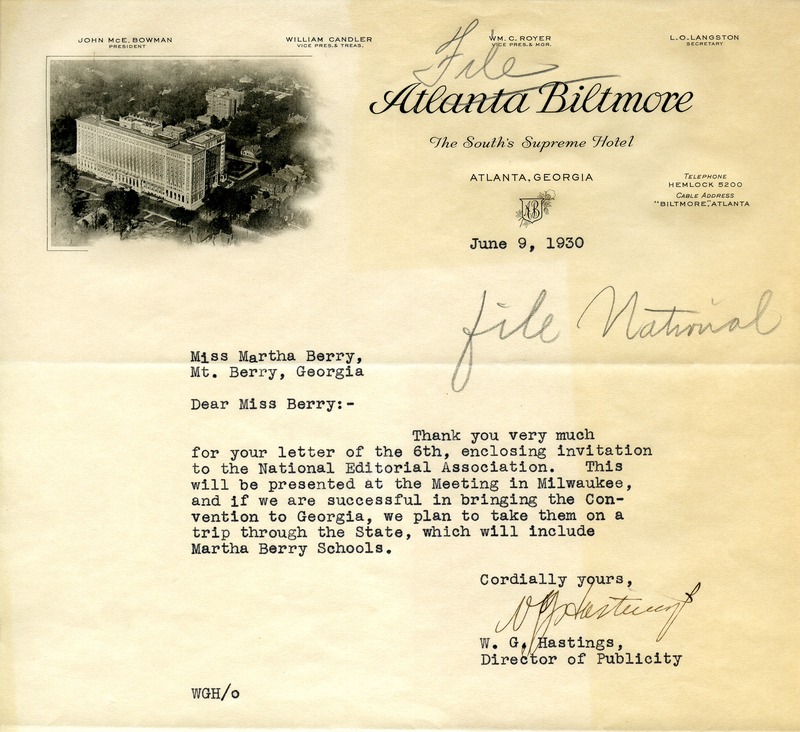 Mr. Hastings thanks Miss Berry for her previous letter and says if they bring the conference to Georgia, they plan to take a trip throughout the state, including the Berry Schools. Mr. W. G. Hastings, “Letter to Martha Berry from W.G. Hastings.” Martha Berry Digital Archive. Eds. Schlitz, Stephanie A., Rachel Renaud, Chelsea Risley, et al. Mount Berry: Berry College, 2014. accessed April 20, 2019, https://mbda.berry.edu/items/show/13536.